Type: BOOKS. Detail: Taylor, T. Product Code: 9781857445657. 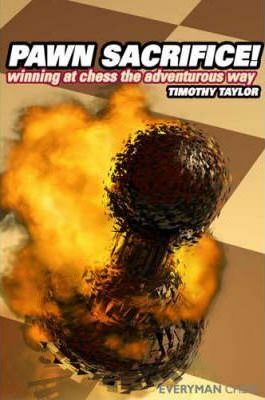 Pawn sacrifices are incredibly common in chess games, and yet curiously they have been neglected in literature...until now. In this pioneering work, Timothy Taylor carries out an indepth study of this major subject. Using an abundance of instructive examples, Taylor uncovers the secrets of pawn sacrifices, highlighting the many reasons for their success and indicating the ideal situations in which pawn sacrifices work, as well as those cases in which they are not so effective. The ability to handle pawn sacrifices is one of the most important skills in chess, and enhancing this skill will undoubtedly improve your understanding and results. This book will show you how to do this. Softback, 240 pages.